Google's Nest, Honeywell, Netatmo, Tado and others have made heating our abodes that bit simpler, but a smart thermostat does not a smart home make. British Gas' Hive launched its take on the smart thermostat two years ago -- and now, 200,000 installs later, it's time for a sequel. This time around, though, Hive doesn't just want to make your heating smarter, but the rest of your home as well. 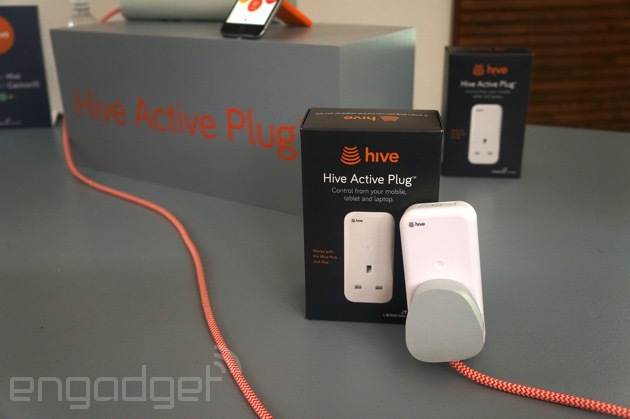 In addition to its brand-new £249 thermostat, the Hive brand will include soon smart plugs, a whole host of motion sensors and eventually, lightbulbs too. Actually, its full name is Hive Active Heating 2, but for the sake of brevity we'll just call it the Hive 2. Like the original, the Hive 2 is a smart thermostat that allows you to control temperature and hot water manually and via a mobile app. However, the new thermostat isn't quite as anonymous as its older sibling -- in fact, it's actually quite striking. It's a small rounded square with a mirrored front, designed to look impressive but not dominate the home. "The Hive 2 comes from our restless desire to create something that is even better," says Kassir Hussain, Director of Connected Homes at British Gas. "To that end, we partnered with Yves Béhar to look at the thermostat again and rebuild it from the ground up." Does the name seem familiar? It should: Béhar is the Founder/Chief Designer of Fuseproject, the studio behind the new Sodastream, Jawbone Jambox, OUYA, August smart door lock and the OLPC XO, among other things. It's impossible to make a smart thermostat and avoid comparisons with the Nest, but the Hive 2 isn't a product that demands to be looked at and played with. It's striving for the best of both worlds: something that's visually new yet familiar to Hive's not necessarily tech-savvy customer base. That's why there's no touchscreen, but a row of three buttons and a dial that has a tangible "click" to it. When pressed, the dial brings the Hive 2 and its LED display to life. Owners can then use it and its accompanying buttons to set the temperature, but also control a couple of new features, including the ability to program three heating zones, enter holiday mode or give their home a quick heat (or hot water) blast for up to six hours with dedicated "boost" buttons on the thermostat's top edge. Interestingly, Hive says these boosts were its most-requested feature to date. Like your smartphone, the Hive 2 can be accessorised with a case. The company has teamed up with Dulux to create 12 coloured frames that clip onto the thermostat. Apparently, the selection is based on the paint giant's most popular Feature Wall colours, which come with names like Moroccan Flame (a vibrant orange), Teal Tension and smokey grey Urban Obsession. The Hive 2 is certainly the biggest of today's announcements, but it's far from the only device Hive hopes you'll want to outfit your home with. The first of its other new products is the Hive Motion Sensor, a small, wireless infra-red cube designed to detect movement inside your home and alert you through your smartphone. It's aimed primarily at people who spend large amounts of time away from home and want a remote guardian for extra peace of mind. Next up are the Hive Window and Door Sensors. These little plastic dongles come in two parts: one for the window or door, and one for the sill or frame. When the connection between the two parts is broken, you'll be notified as such on your mobile device. They can alert you when someone arrives home (or breaks in) through the front door, but can also be placed elsewhere around the house. Take bedroom doors, for instance, which could be rigged to give parents an idea of which child got home when. No points for guessing what the Active Plug does. That's right, it's a smart plug. Like Belkin's power points, these let you remotely control appliances around your home. You can switch on a hallway lamp to pretend someone's home, for example, or use one to create a failsafe socket, should you be in the habit of forgetting to turn your hair straighteners off in the morning. The final product Hive is announcing today, but has yet to show, is Active Lights. All the company has said about these is that they'll be controllable by smartphone, and the specifications of the bulb design are still being finalised with potential partners. But, we're under the impression they could have a feature set similar to Philips' Hue products. There's not much use in having a range of new hardware without the software to support it. That's where Honeycomb comes in. The Honeycomb platform brings control of the Hive 2, sensors, plugs and (in the future) lighting together in a new Hive app -- a product of Hive's acquisition of AlertMe earlier this year. It also facilitates the use of recipes, something you might be familiar with if you've used IFTTT in the past. For example, a door sensor notices you've arrived home late from work, so it automatically switches on your Active Lights to save you stumbling around in the dark. Recipes and automation are key for Hive, and you can expect Hive to expand the capabilities of its new products in the near future. 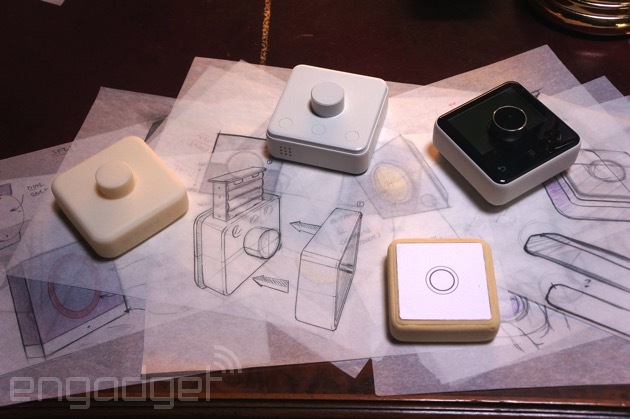 Despite today's broad announcement, Hive is staggering the rollout of its new products. That means you'll only be able to pick up the Hive 2 for now, with the sensors, plugs and lighting going on sale this autumn. If you're an existing Hive customer and want to upgrade to the Hive 2, you can get the new thermostat with installation for £99 (for a limited time only). New customers will pay £249, with installations for both new and old customers beginning in August. Like its predecessor, the Hive 2 can also be found at a wide range of retail partners, including the Apple Store, Amazon, Argos, John Lewis, Currys, PC World and, of course, the Hive website. Because there's every chance you'll be happy with the original thermostat, the company will ensure that you'll get the majority of the new features too. All you have to do is update the Hive app to the latest version on iOS or Android, or visit the updated online dashboard. Hive also says it is looking to introduce a starter pack to help customers "start their journey," but with no pricing available for the home sensors, plugs and bulbs, this could be some way off. "Until now, the connected home has been the preserve of two groups of people: you're either pretty wealthy and you have a high-end home, or you're pretty geeky and tech literate and you've strung this stuff together," says Hussain. "Actually, most people don't fall into those categories. We're on a mission to make the connected home an absolute reality for as many British homes as we possibly can."